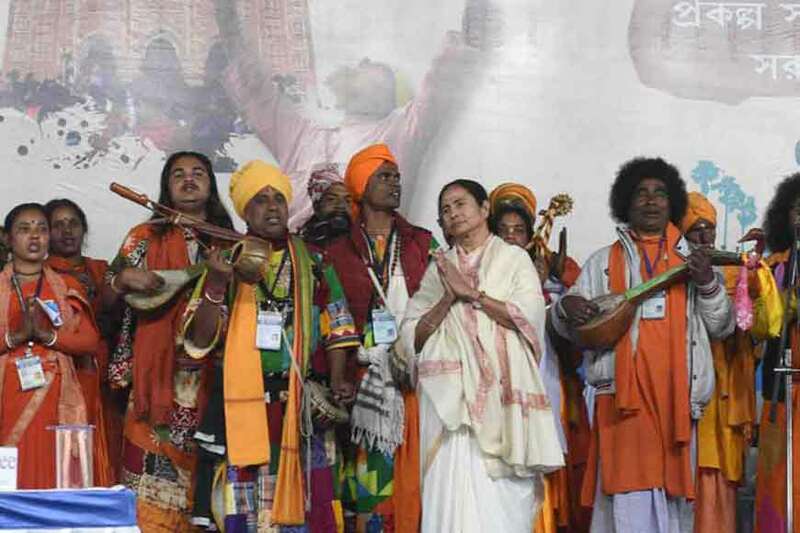 As mellifluous renditions of a thousand free souls swayed to the high-octane notes of ektaras, none other than Bengal’s Chief Minister, Mamata Banerjee, lent her voice, joining the rustic charm of Baul songs. 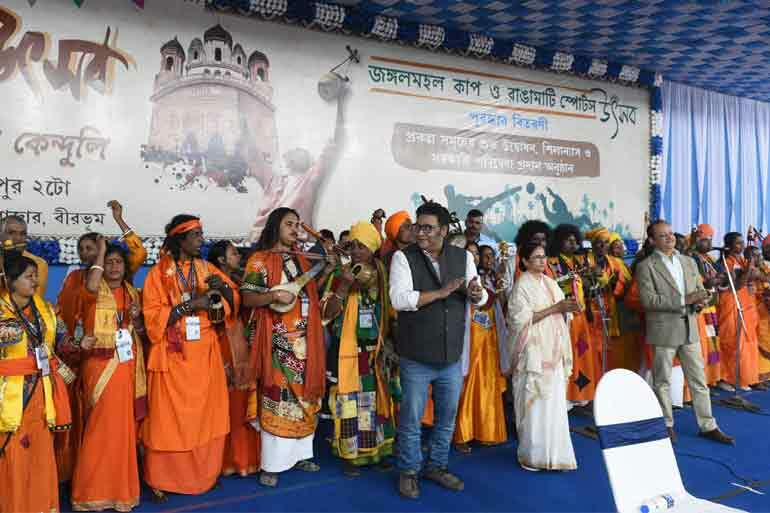 Just like the people of Bengal has kept their beloved ‘Didi’ close to their heart, she too never forgets to encourage each and every section of the society, every genre of art and music, raising the bar of the state’s rich cultural ethos to an international standard. 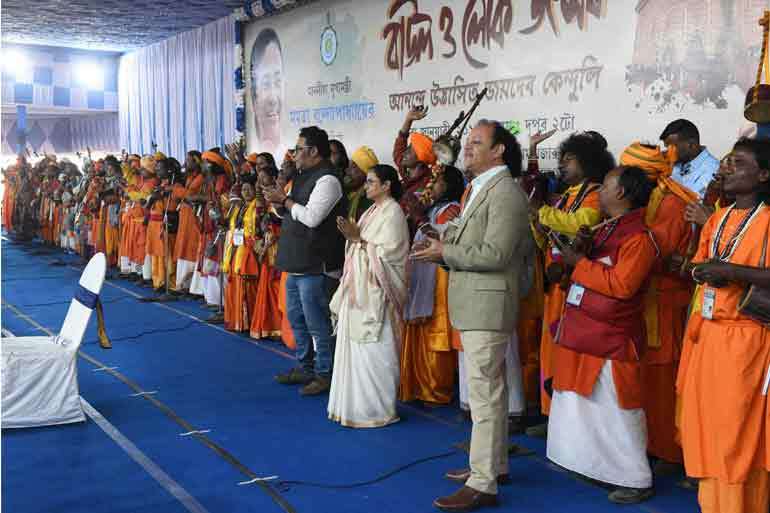 The same feeling unfolded at the recent ‘Baul and Folk Festival’ inaugurated on 3rd January at Ilambazar of Birbhum by our Hon’ble Chief Minister. 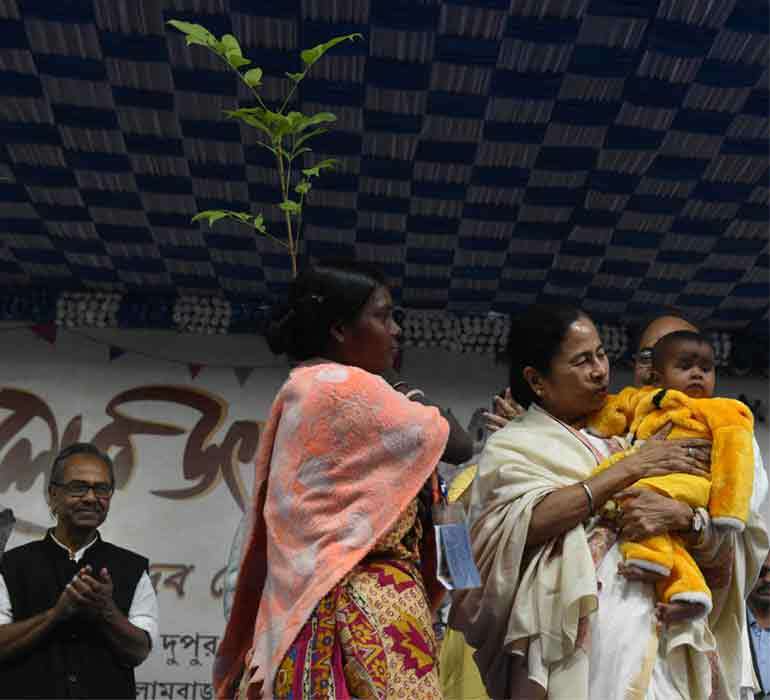 This festival was a precursor to the ensuing Joydeb Mela at Kenduli. 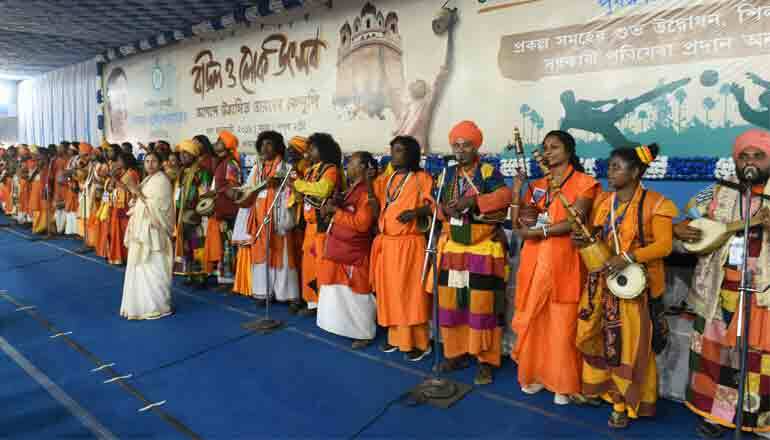 More than 1,000 baul singers from different districts, who fall under the state government’s Lok Prasar Prakalpa, participated in this vibrant festival along with 1,500 folk artistes from Birbhum. 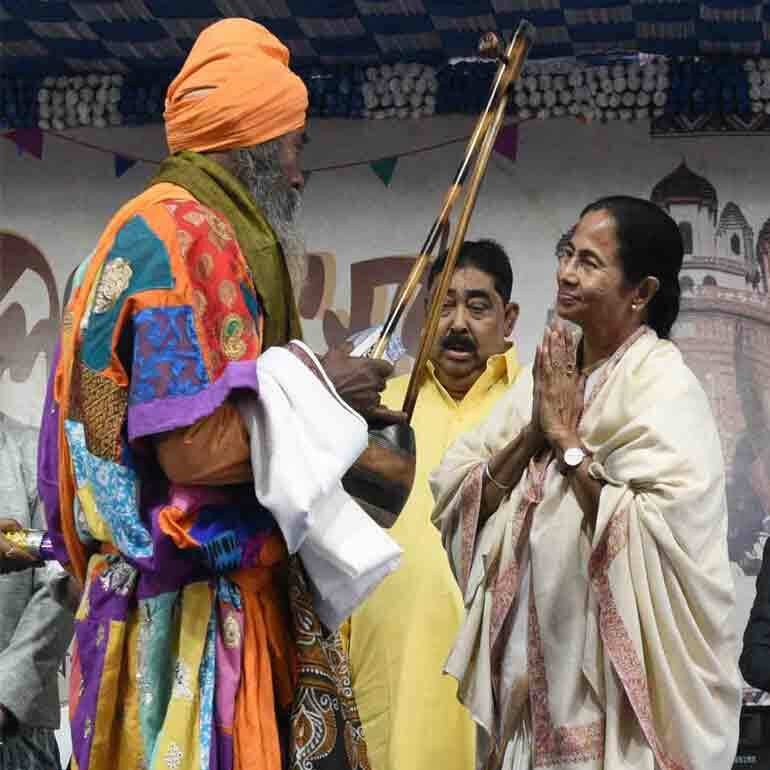 Mamata Banerjee has been relentlessly trying to revive Bengal’s lost heritage, culture and music over the past few years, by giving due opportunities to many folk artistes on different festival platforms in the state. 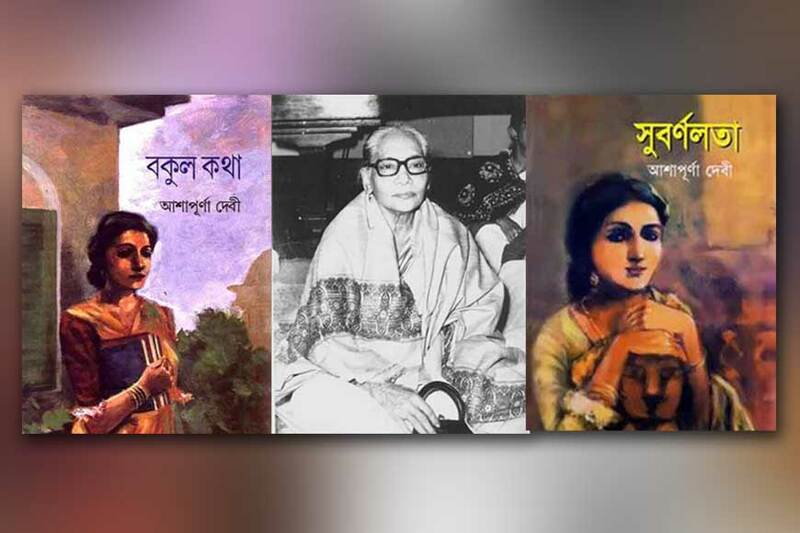 Undoubtedly, the Rangamati of Birbhum always was close to her heart, just like it was to Rabindranath Tagore, Tarashankar Bandyopadhyay and many more, who were largely influenced by the charm of the bauls. 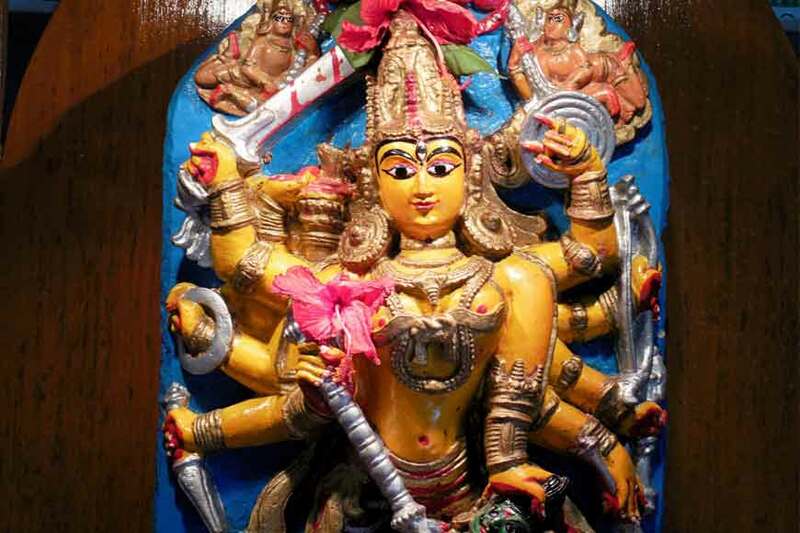 Who doesn’t know that Tagore had plucked the essence of baul in many of his creations? 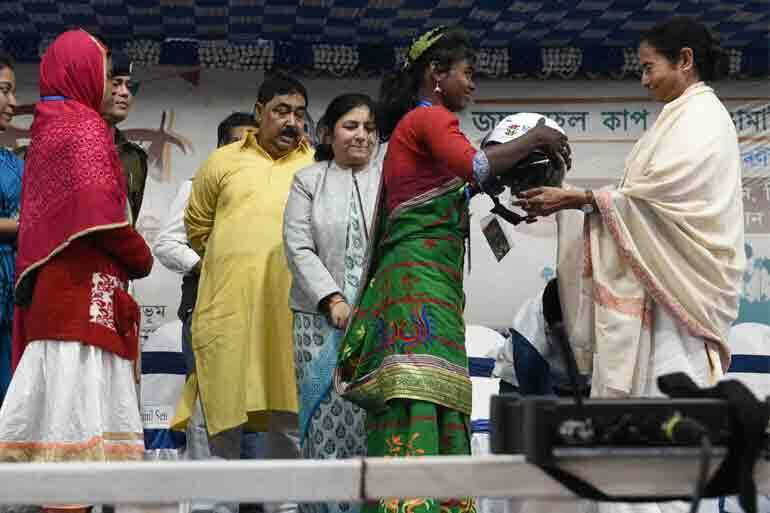 Keeping in mind this rich legacy of bauls and to encourage them in their artistic pursuits, Hon’ble Chief Minister gave each of the participating bauls a cash prize of Rs 5,000 and felicitated them with traditional Ektaras and Uttariyas. 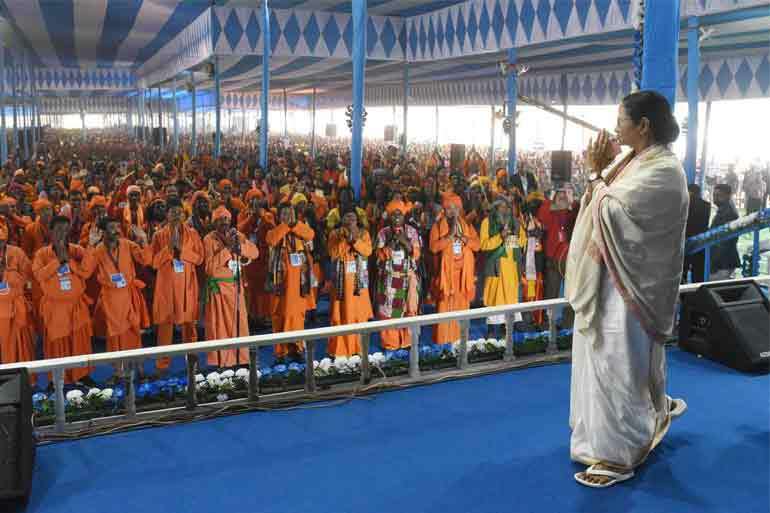 She also paid her respect by felicitating ten well-known bauls who graced the occasion. 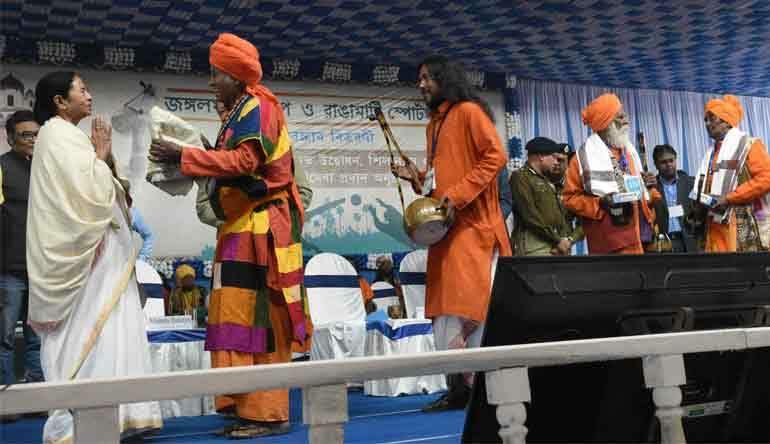 Not just folk artistes, even tribal singers, dancers and drummers made their presence felt at the venue. 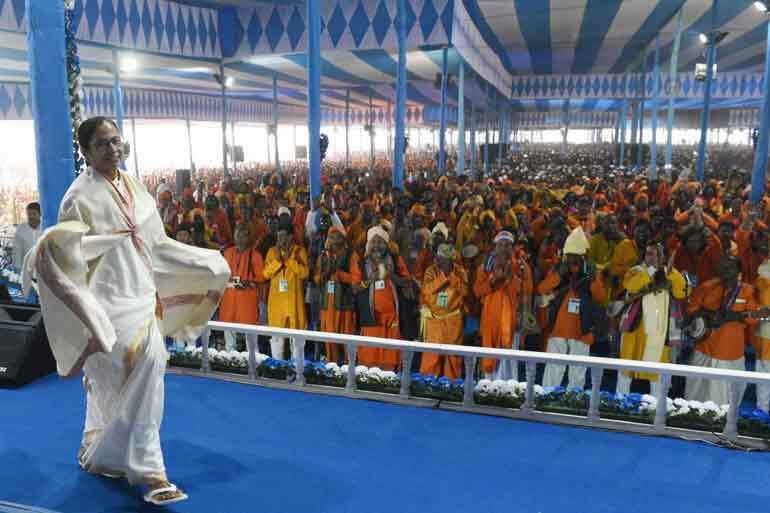 Around 28 such groups falling under the Lok Prasar Prakalpa were given Dhamsas, the traditional tribal drums and 50 Kirtan singers also got Khols. 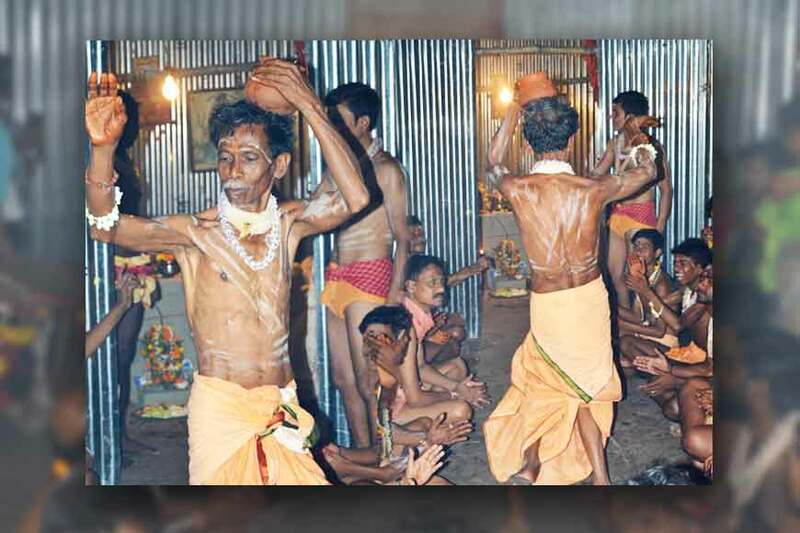 Every time we get to dance to the tune of tribal drum-beats at Santiniketan’s Shonibarer Haat, taking selfies, we hardly ever realise that many of these tribal musicians cannot afford to buy quality instruments. In the process their musical tradition is at stake and might get lost some day, if they are not encouraged and facilitated. 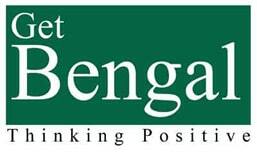 And that is exactly what the Bengal government is doing under the Lok Prasar Prakalpa, a brain-child of our Hon’ble Chief Minister. Artistes from the age of 18-60 years and belonging to different castes are under this scheme and get a monthly financial benefit of Rs 1000. Those above 60 years get a pension of the same amount. 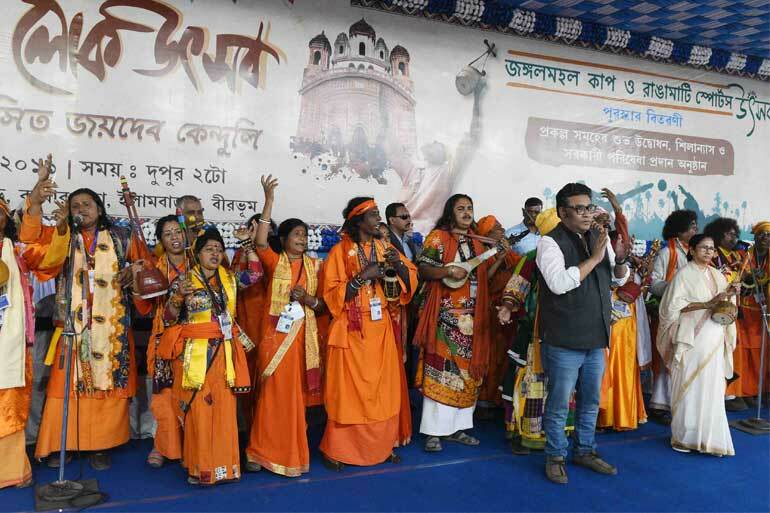 Also, every folk artiste who participates in any such government programme or festival is paid Rs 1000 per event. All these cash benefits directly go to the artiste’s bank account and they also have state sponsored identity cards. 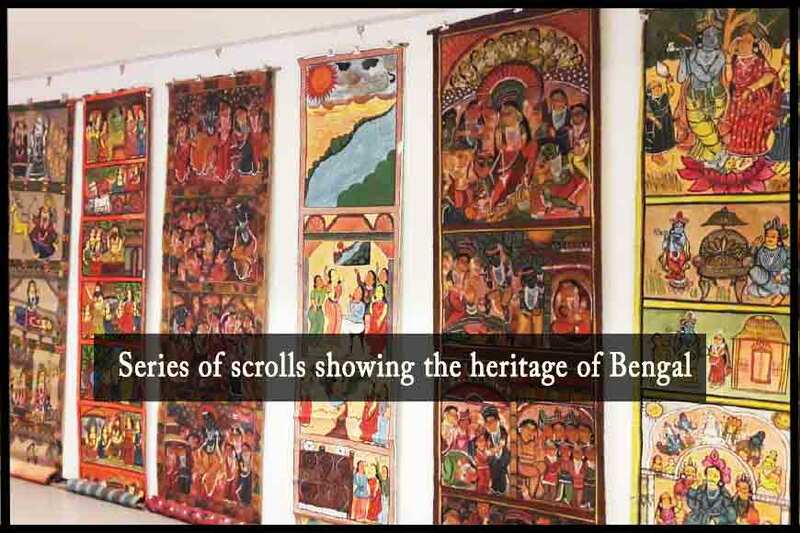 Around 1, 94,447 folk artistes fall under this scheme. 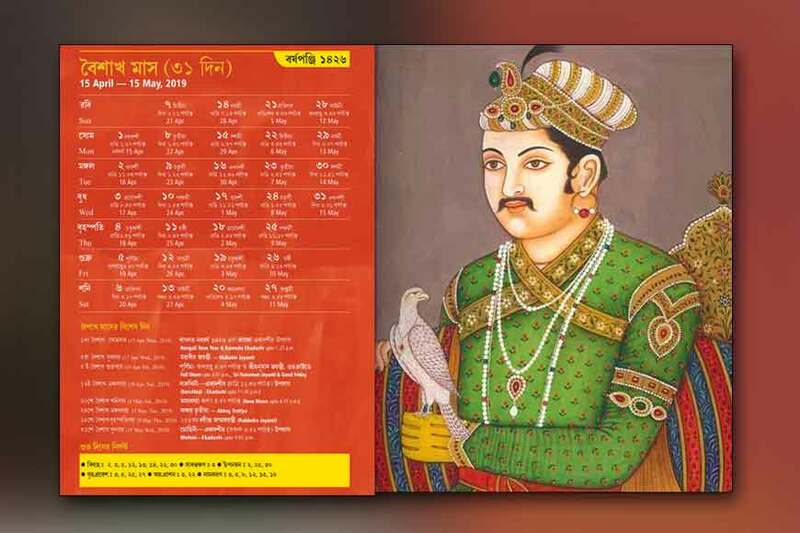 The budget for this scheme was 50 crores when it was flagged off in 2014-15. Today, it stands at a whooping 265 crores. 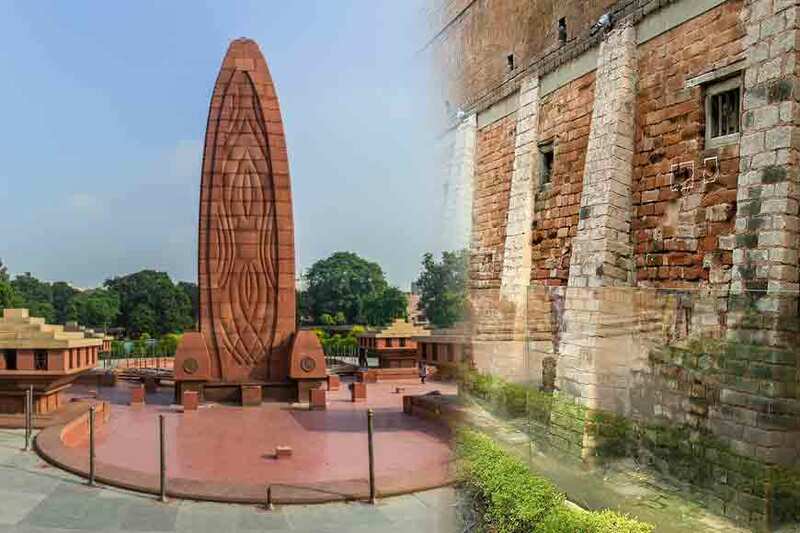 The data clearly shows the extent and outreach of this scheme. 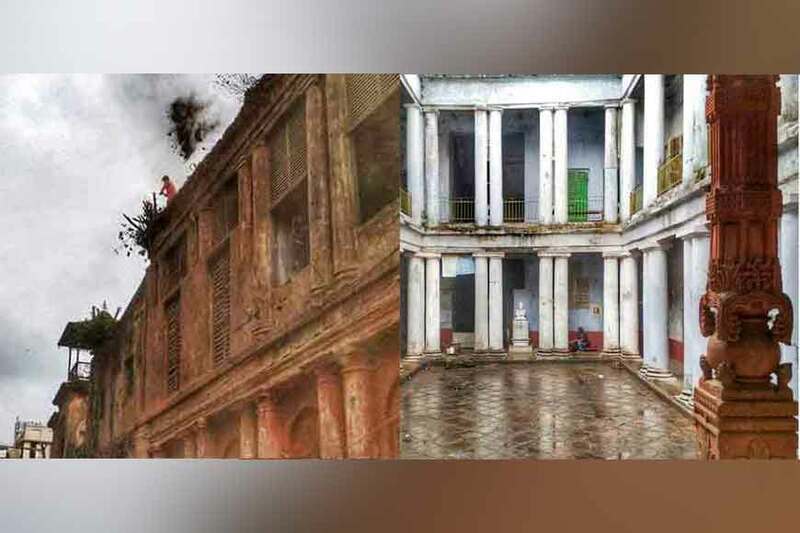 Other than fests, artistes also get a chance to participate in various workshops held in different districts from time to time to hone up their skills and share their expertise. 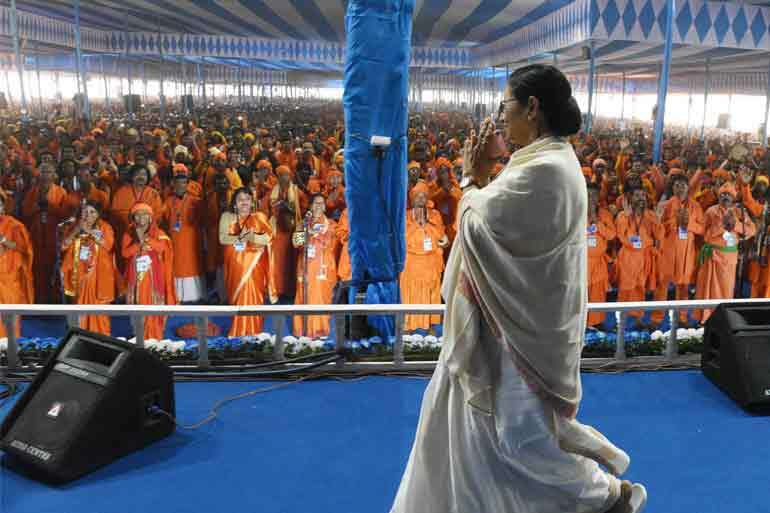 Not just music, Mamata Banerjee is equally enthusiastic about sports, herself being a fitness enthusiast. She can beat any youngster at the treadmill. No wonder, she often encourages in organizing rural sports. One such being the Jangal Mahal Cup and the other was Rangamati Sports Fest. She gave awards to the winners too at this event. 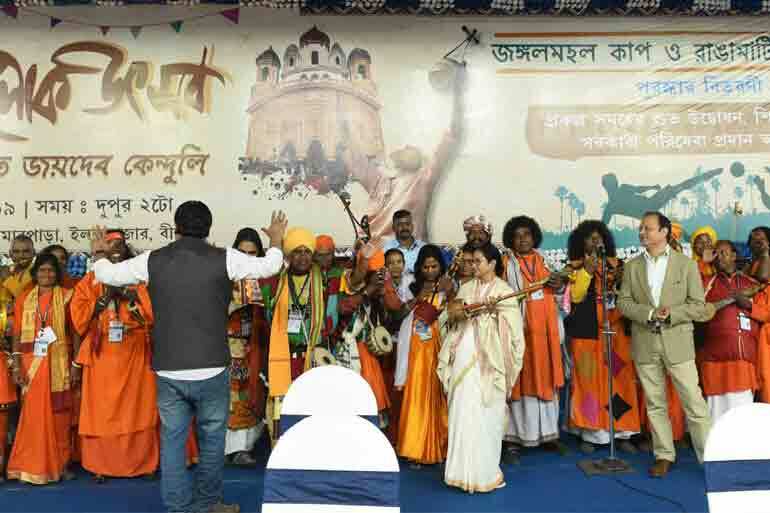 The folk artistes praised the government’s endeavour and paid their respect to the Chief Minister with flowers, shawl and ektara while playing their folk instruments in unison.